Come December and the mad scramble for investment proofs starts. Your employer's HR department will demand the details of the tax saving instruments that you claim to have done to save on your income tax every month. If you are not able to furnish those tax proofs, the rebates given to you will be reversed and it might happen that your take home salary in Feb and Mar is far lower than normal. So let us try and understand how you can avail the maximum tax advantages through savings instruments. Life Insurance is a very popular way of saving on your tax liabilities. Section 80 C of the income tax states that investments upto Rs 100000 on life insurance and unit linked plans can reduce your tax liability by Rs 30,000, thereby making the effective premium Rs 70,000. On top of that, the maturity proceeds on your life insurance policy are tax exempt. This is the govt way of incentivising you to invest in life insurance as a long term savings instrument. Most probably, you already have availed of some tax benefits through your company PF etc. So if the PF contribution is Rs 40,000 for the year, the balance amount of Rs 60,000 can be easily invested in a life insurance policy. What makes the unit linked policies more attractive now is that the charges have been drastically reduced by IRDA a few months back. Lower charges essentially mean that the investment returns will be higher for you, as you are paying less for the insurance agent's commission as well as the management fees etc of the insurance company. Also, the fact that lapsation charges have been significantly reduced makes it a safer instrument in case you cannot continue the policy in the next few years. The only question you need to consider before putting in your money in a Unit Linked policy is whether the stock markets are already at a high level (Nifty at 6000). But then, it is impossible to time the markets (pl dont believe the CNBC guys) and any time is a good time to start. In the long term, your unit linked life insurance policy should do well. Be on your guard if the insurance agent tries to sell you a non unit linked/traditional product. Chances are that he is pushing this life insurance policy only because his commissions are higher. Apart from this savings of Rs 1 lakh that you can make for a life insurance policy, you can save upto Rs 10,500 in tax through a health insurance policy. That is the maximum tax savings if you pay Rs 15,000 as premium for you and your immediate family, and Rs 15000 for your parents. Realistically speaking, the health insurance premiums that you pay would not be more than Rs 10000 to Rs 15000, on which you would save Rs 3000 to Rs 5000 of tax. 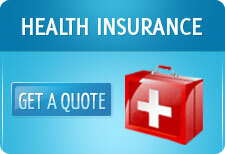 Tax savings aside, if you do not have a health insurance policy, it is very important to consider having one. Health care costs, especially private health care in top tier hospitals, have spiked up exponentially and medical costs have the potential of financially crippling someone. In the United States, health care emergency costs are one of the leading causes of financial bankruptcy. A five day hospitalization can easily cost upwards of Rs 1 lakh. Before buying a health insurance, it is also useful to do a comparison of the premiums charged by different health insurance companies, as the rates can vary as much as 40% to 50% among companies. Sites such as www.policytiger.com can help you compare in a minute and make available the cheapest and best health insurance plan. All said and one, one should have insurance for the sake of financial security. However, it does not hurt if there are attractive tax benefits to incentivise the purchase.